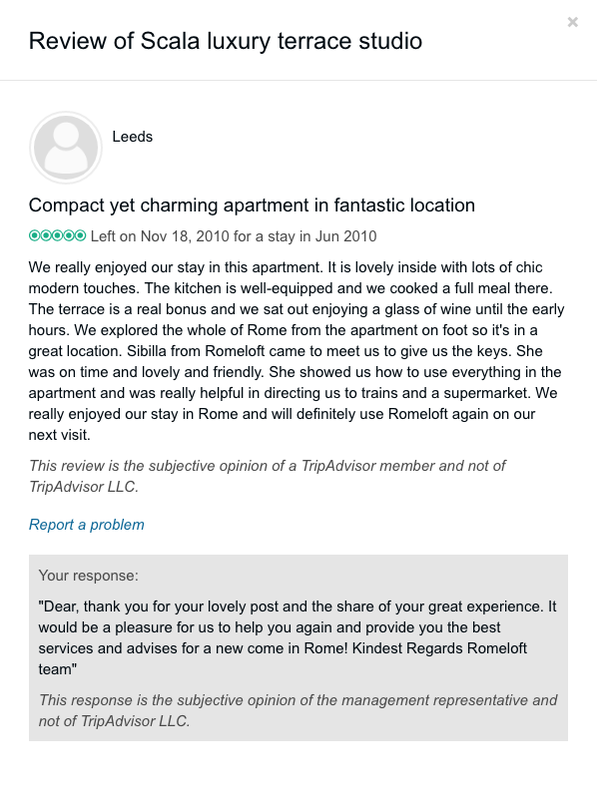 In this page, we want to collect all our Romeloft TripAdvisor reviews that we have received over the years, in order to add an external source of review to the traditional guest comments page. 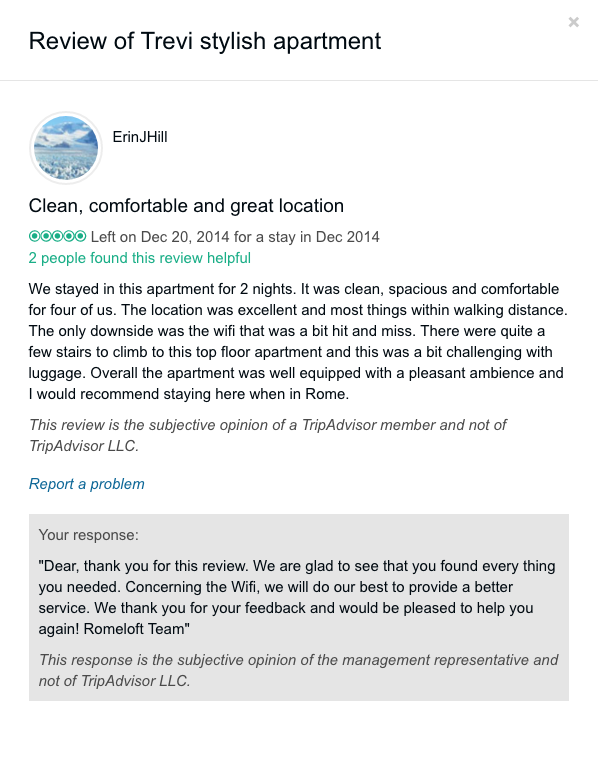 We hope that this will be appreciated and that it will be useful for our guests. 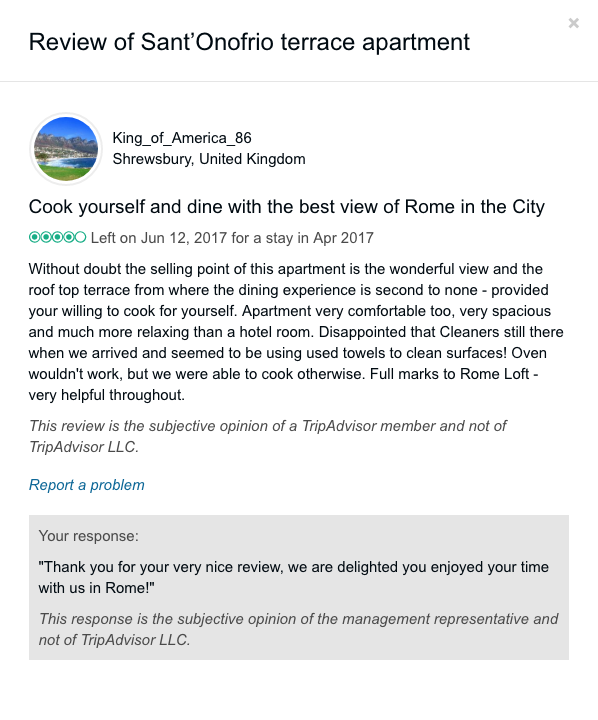 We believe that with this collection of TripAdvisor reviews, our guests will be able to quickly understand which accommodation will suit their needs best. 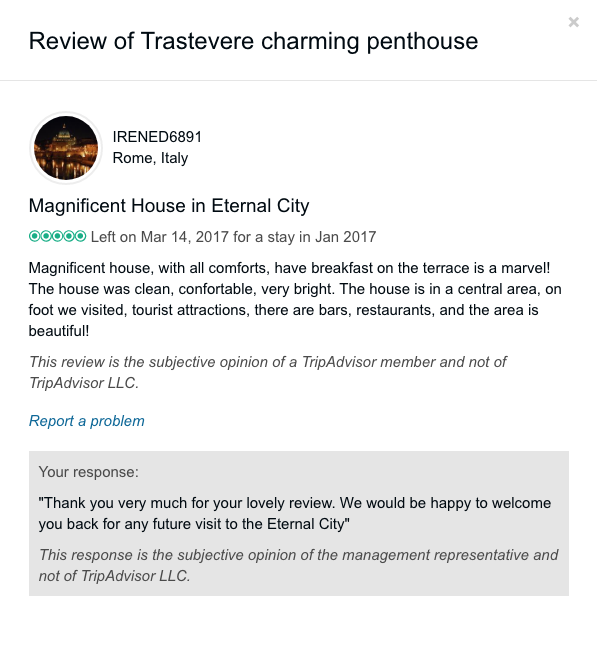 In this page, we will post all the reviews that we receive on external channels, such us Facebook or Fodor’s. 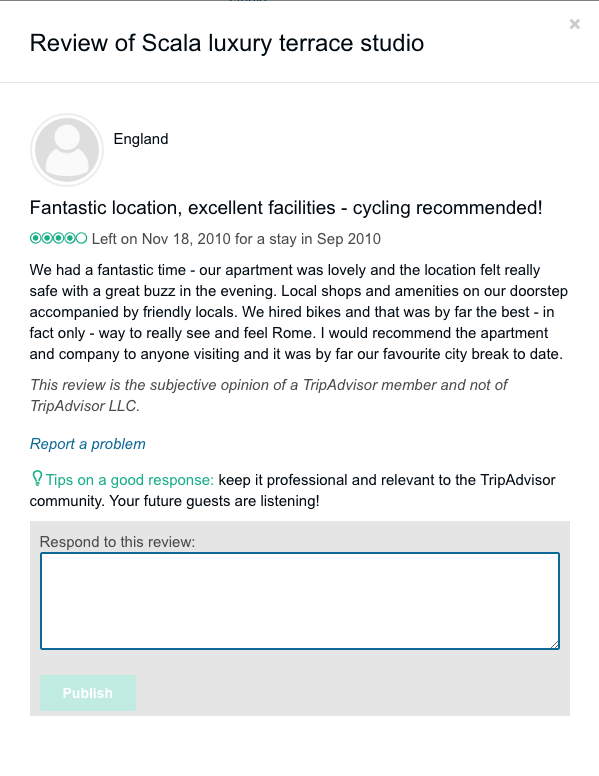 Please feel free to contact us via email or via our live chat if you should wish to ask any question about our organisation and about our exclusive apartment collection. 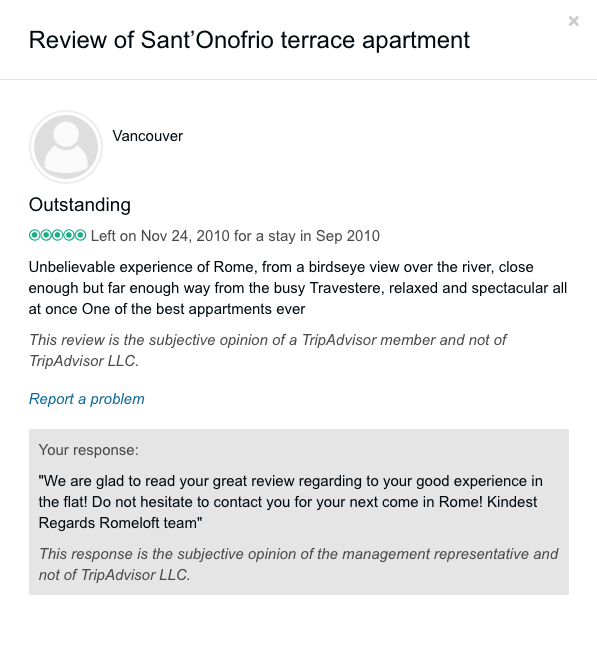 Because we care all our customers, do not hesitate to share with us your experience. We welcome each and every review as we believe all of them are useful in their own way. 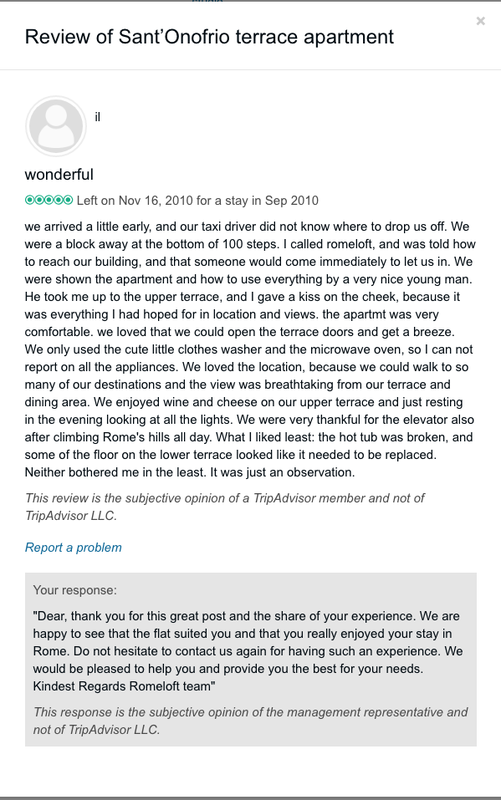 Whether it is to help us in improving our services, or if it is just to help another traveler in finding their perfect and unforgettable place to stay, helping them to create just as amazing memories, these reviews are always handy. 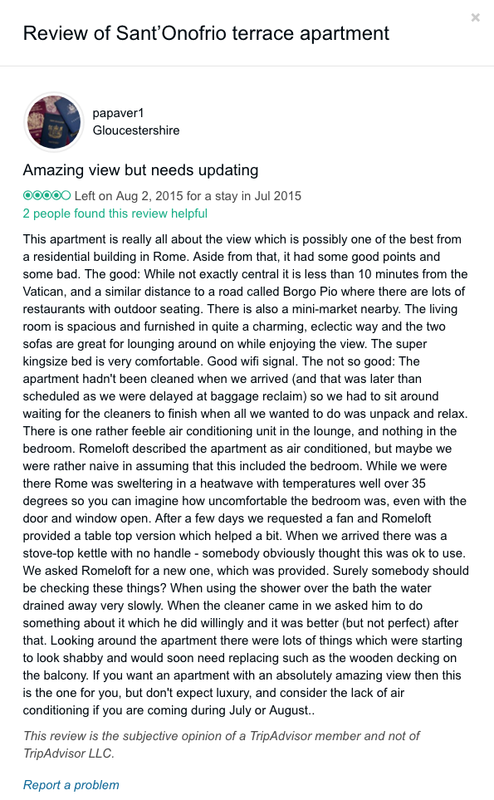 Romeloft’s aim is to give to our clients a perfect starting point for their Roman holiday: a cozy and welcoming place, in a great location mere steps away from the most impressive sites of the city, to allow them to be right in the middle of the action from the very first moment of their stay. 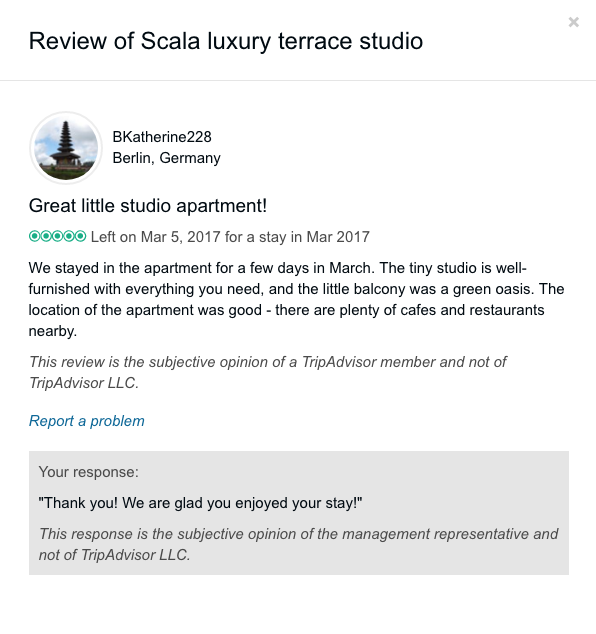 We also want to provide them with a place to remember, perhaps with a private terrace with stunning views, from which they may enjoy a breathtaking sunset, and a glass of wine, with friends and family. 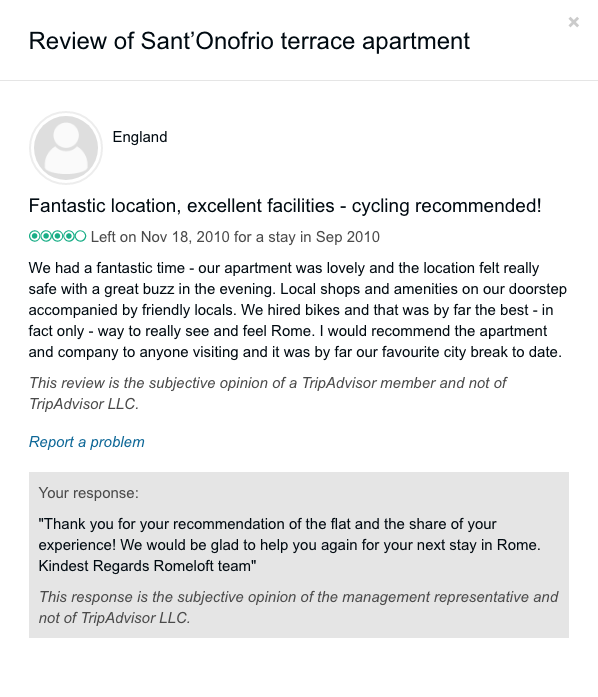 We want each an every customer to have this incredible Roman experience, and we pride ourselves on already achieving this high aim for the majority of our clients. 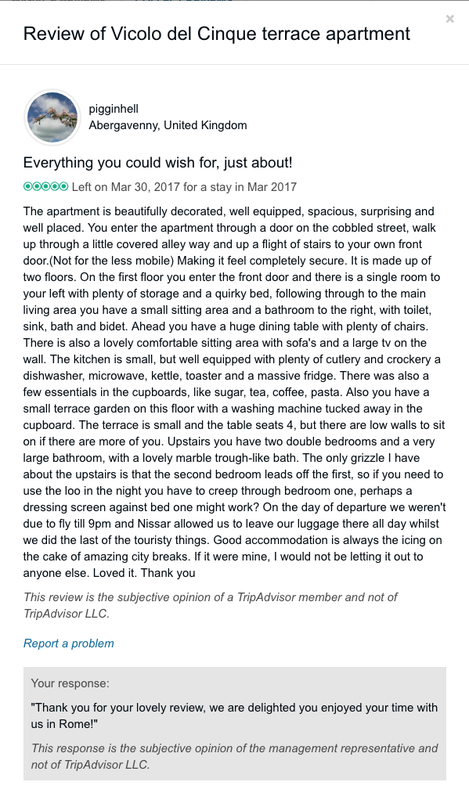 Some may find very negative TripAdvisor reviews from serial poster, who would appear to have not in fact actually visited our lovely properties. 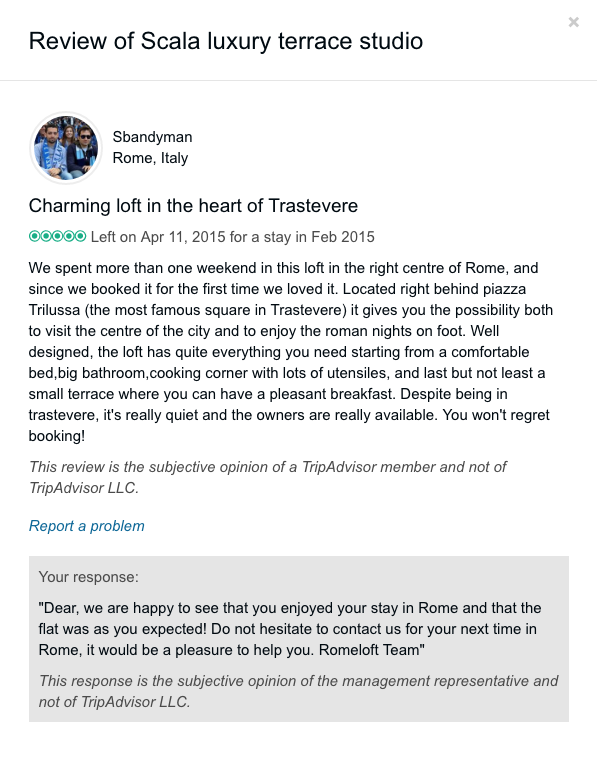 We hope that our guests won’t be fooled by these malicious reviews and that they know that we will provide them with the best stay possible in Rome.